Drs. Cristina Mac Swiney and Veronica Zamora from Universidad Veracruzana and Instituto Politécnico Nacional, academics who founded the bat acoustics reference library “SONOZOTZ”, will host a Bat Acoustics workshop. This workshop will target researchers and students with basic knowledge on bat acoustics and have some experience with recording bat calls. Participants will be guided through the use of the most common recording techniques (e.g. zipline, hand release) and how they must be applied to each bat species. We will also cover the use of bat detectors and common software used for acoustic analysis. During the course, a new online platform for sharing acoustic data and recordings will be presented. Lunch and coffee breaks are included. This year’s Spallanzani fundraiser will be a 6K race that will take place at 8:00 am on Wednesday, October 24th. Runners should assemble in the lobby of the Westin Hotel at 6:30 AM for transport to the local park. Following the race, runners will re-hydrate and return by bus to the hotel. Bat netting will take place in an urban setting in Puerto Vallarta. Participants must bring their own head lamp and gloves, etc. 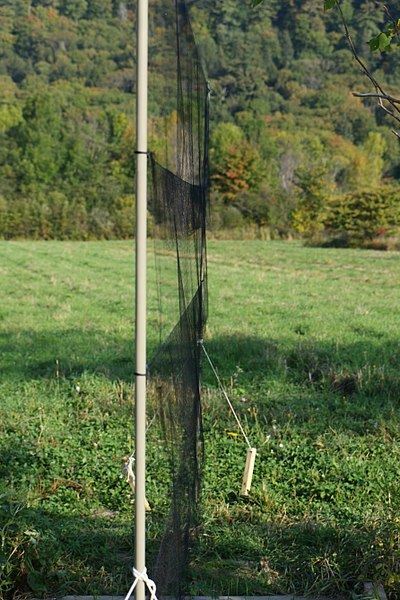 We will provide guides, nets, poles, rope, etc. In order to handle bats, all participants should be rabies vaccinated and must sign a waiver. If you are coming from a region that may be suspect or positive for white-nose syndrome, please bring brand new equipment to participate in this activity. Box lunch and refreshments will be provided. Let´s celebrate Bat Week in Puerto Vallarta. We want to create a mural of bats from all over the world! Please bring printed photos of bats that you have worked with: letter size (8.5x11 or similar) with your name on the back. Please give them to the volunteers during the first day of the meeting, and pick them up at the end of the meeting at the registration desk. Do not miss the opportunity to show the beauty of these animals and share our photographic experiences with other bat enthusiast attendees.